Li-la sofa bed chair - now you can have your nursing chair, and your bed too! 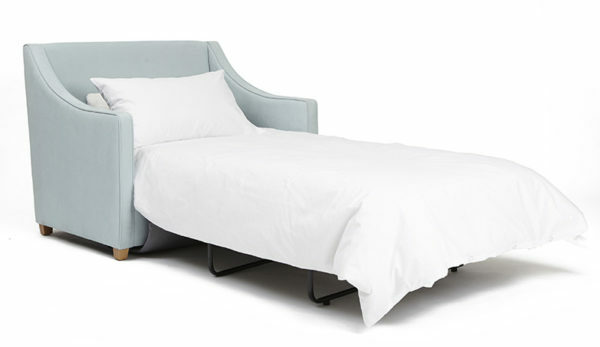 Li-la sofa bed chair – now you can have your nursing chair, and your bed too! 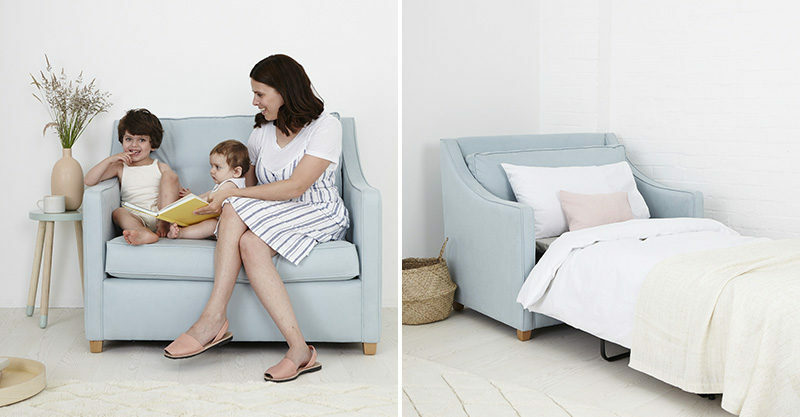 A stunning chair one minute, a super comfy sofa bed the next, Olli Ella has launched what is perhaps the most stylish sofa bed you ever will see! A feast for the eyes, the Li-la Single Sofa Bed Chair is perfect for nursing, snuggling and reading and when it looks this good, you’ll only be too pleased to find space for it in your home. Speaking of all important space, the Lila takes up next to no room with its petite footprint – and the fact that it morphs to a single size bed absolutely takes the cake. Great for special guests to sleep over in a playroom or in the nursery when your little one is unwell and wanting to snuggle, simply flip it out and lie in comfort on the single mattress. It’s that easy! 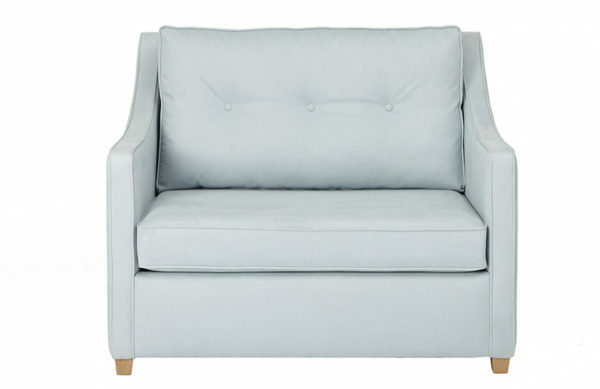 Made to order from microsuede, the Li-la single sofa bed chair is available in dove, white, musk and sky (pictured). Chairs take around eight weeks to make so be sure to get your order in fast. Priced $2250, order yours direct from Olli Ella.